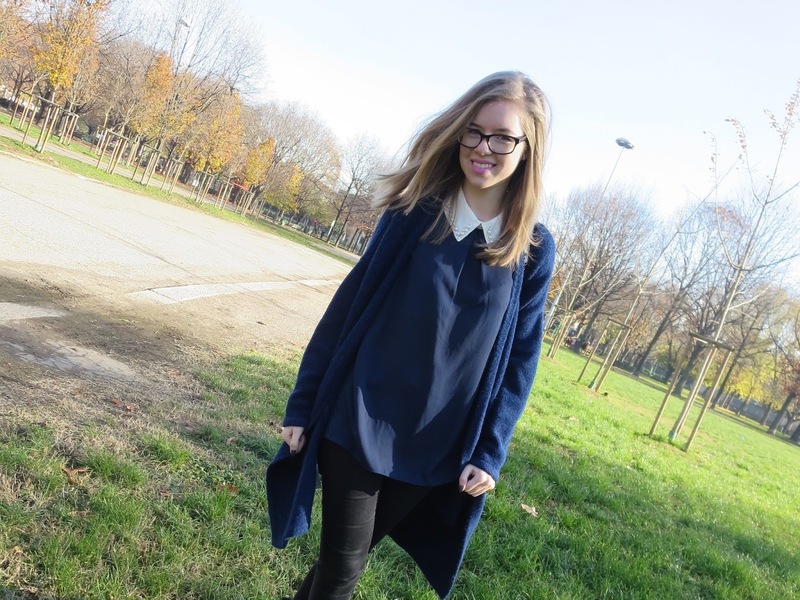 Todays outfit is a comfortable and chic look I wore while walking around Milan. I went for another fluffy cardigan and Uggs to keep me warm, but wore my pearl collar blouse to give everything a "put together" vibe. I know Uggs aren't everyones cup of tea, however for me they're perfect for the colder months. What are your favourite shoes for winter? It's so fluffy and keeps me warm! I love how black and navy blue colors match!! you look great! You look so pretty in this chic outfit! I love the blouse; it looks perfect with the long cardigan. I need those UGG boots today that it's so cold. Love this cozy outfit and your UGG boots! Cozy and stylish.... I love this look!